BY USING OR ACCESSING SMARTPUJA WEBSITE YOU AGREE TO THE FOLLOWING TERMS AND CONDITIONS (THE "AGREEMENT") GOVERNING YOUR USE OF SMARTPUJA.COM (THE "SERVICE"). THIS AGREEMENT SHALL APPLY TO YOUR USE OF THE SERVICE, REGARDLESS OF ANY OTHER TERMS AND CONDITIONS THAT YOU MAY HAVE PROPOSED AND/OR ANY OTHER TERMS THAT MAY HAVE BEEN AGREED BETWEEN YOU AND GOKARMA TECH SOLUTIONS LLP. IN THE EVENT OF ANY CONFLICT OR INCONSISTENCY BETWEEN THE TERMS OF THIS AGREEMENT AND ANY OTHER TERMS, THE TERMS OF THIS AGREEMENT SHALL PREVAIL. BY ACCESSING AND USING THE SERVICE, YOU CONFIRM YOUR AGREEMENT TO THESE TERMS. i. ‘Smartpuja’- means the website at www.smartpuja.com and mobile app/platform. l.	‘You’ or ‘Your’ any person, School, Local Authority or other organization accessing the Service. 1. This Agreement shall commence on the day you create an order or do a guest check-out (Effective Date) and continue until the end of the Initial Term. At the end of the Initial Term, unless otherwise agreed, this Agreement shall automatically renew for either one year or a period equal to the Initial Term, whichever is the less, at the current rate then payable for the Service. 2. Either party may terminate this Agreement by giving not less than thirty (30) days’ notice prior to the end of the then current Licence Term. 1. In consideration of your payment of the relevant fees, Smartpuja agrees to provide you with access to the Service. Such access shall be solely to support your own personal or religious purposes of a non- commercial nature and be in respect of that number of concurrent Users agreed between you and Smartpuja. 2. You may produce copies of any instructions provided by Smartpuja and distribute such copies to Users to enable them to use the Service. This shall be without prejudice to the provisions of clause 5. 1. Smartpuja may alter user names or passwords upon reasonable notice. Your user name(s) and any password(s) are non-transferable and you are not permitted to disclose or share the same with anyone else. No third party may share your account. 2. No part of the Service may be cached in proxy servers or accessed by individuals who have not registered with Smartpuja as users of the Service. If you do disclose or share your account with any third party or allow any third party to use the Service on your behalf, you agree to indemnify Smartpuja for any losses or damages incurred by Smartpuja as a result of your actions. If Smartpuja reasonably believes that an account is being used in any way which is not permitted by Smartpuja, Smartpuja reserves the right to cancel access rights immediately without notice and to block access to all users from that account. 3. You are solely responsible for acquiring and maintaining all computer hardware and Smartpuja mobile app/ website, telephone and communications equipment needed for access to and use of the Service. 4. You own and have sole responsibility for the accuracy, quality, integrity, legality, reliability, appropriateness, and IPR ownership or right to use of all Customer Data and Smartpuja shall not be responsible or liable for the deletion, correction, destruction, damage, loss of or failure to store any Customer Data. 5. You agree to ensure that no User will introduce any Virus into any computer equipment or system or Smartpuja mobile app/ website of Smartpuja. You further agree to use virus-checking Smartpuja mobile app/ website before downloading any material from the Internet and, unless otherwise agreed, shall be responsible for applying anti-virus Smartpuja mobile app/ website to protect your machines and networks. 6. You agree to ensure that no User will use the Service for the purposes of storing, transmitting or receiving any Unacceptable Content. 1. Title to any Smartpuja mobile app/ website supplied by Smartpuja shall at all times remain vested in Smartpuja or its licensors. At no time shall you or any User gain any title to any such Smartpuja mobile app/ website. 3.9.	not to enable a third party to do any of the acts set out in this clause 5.3. 4.3. Infringement as described in clause 5.6 (below). 5. Clause 5.4 (above) states the entire liability of Smartpuja with respect to infringement of patents or copyrights by the Service or any part thereof or by its operation. No costs or expenses will be incurred for the account of Smartpuja without the prior written consent of Smartpuja. 6. You will hold Smartpuja harmless against any expense, judgment, liability or loss, or infringement of any IPRs which results from Smartpuja compliance with your or any User’s instructions or use by Smartpuja of any Customer Data or other materials or information provided by you or any User. 1.1.	in accordance with clause 2.2 (above); 1.2.	if the other party commits any material breach of this Agreement; 1.3.	if the other party commits any other breach of this Agreement which is not remedied within thirty (30) days of a notice requiring such breach to be remedied; or 1.4.	if the other party ceases to carry on business or substantial part thereof, commits an act of bankruptcy or is adjudicated bankrupt or enters into liquidation whether compulsory or voluntary other than for the purposes of amalgamation or reconstruction or compounds with its creditors generally or has a receiver or manager appointed over all or any part of its assets or suffers execution or distress or takes or suffers any similar action in consequence of debt or becomes unable to pay its debts as they fall due. 2. Smartpuja may terminate this Agreement forthwith (which would automatically terminate any related licence(s) if you fail to pay any sums to Smartpuja in respect of the Service on the due date of payment. 3. Subject to clause 6.4 (below), following termination of this Agreement, Smartpuja will make available to you a file of the relevant Customer Data within thirty (30) days of termination if you request this at the time of termination. 4. Where this Agreement has been terminated by Smartpuja pursuant to clauses 6.1.2 to 6.1.4 or clause 6.2 (above), your right to access or use Customer Data shall immediately cease and Smartpuja may withhold, remove and/or discard Customer Data without notice. Additionally, Smartpuja shall have no obligation to maintain or forward any Customer Data in such circumstances. 1. The Service has been manufactured or developed by Smartpuja or third parties to standard specifications. You accept that Smartpuja is acting only as a supplier and that it is your responsibility to verify that the Service will be suitable for your own requirements. There are no warranties, conditions, guarantees or representations as to description, merchantability or fitness for a particular purpose or other warranties, conditions, guarantees or representations relating to the Service, whether express implied by statute or otherwise oral or in writing except as provided in this Agreement and except as to statute implied terms as to title. 2. You agree that Smartpuja will not be liable for any loss arising out of the provision of goods or services by any company, organization or person other than Smartpuja or for any loss caused by your failure to perform your obligations under this Agreement. In particular but without limitation to the generality of the foregoing, Smartpuja shall not be responsible nor liable for your inability to access the Service or any impairment in using the Service where such inability or impairment results from any incompatibility between any hardware or Smartpuja mobile app/ website used by you, unless such items have been supplied by Smartpuja specifically for use with the Service. 3. Smartpuja liability shall be unlimited in respect of (a) any death or personal injury caused by its negligence or that of its employees, agents or contractors; (b) fraud; (c) under the Consumer Protection Act 1986; (d) for breach of any conditions as to title or quiet enjoyment implied by Sale of Goods Act 1930 (as amended) or Indian Contract Act (as amended) under any express indemnities contained in this Agreement; or (e) for any other matter in respect of which law prescribes that liability may not be excluded or limited. 4. 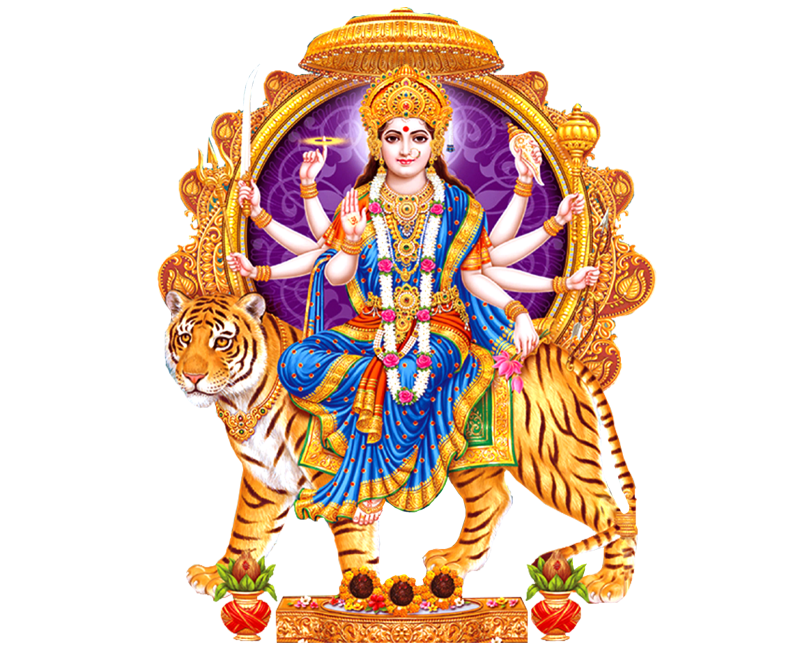 Subject to clause 7.3 (above), Smartpuja shall not in any event be liable for any loss of profits, loss or corruption of data, loss of use, loss of goodwill, anticipated savings, loss of amenity, or any indirect, special or consequential losses, in each case howsoever arising, in connection with or arising out of the supply, functioning or use of the Service even if Smartpuja shall have been advised of the possibility of such potential loss and shall not be liable for any loss except as provided for in this Agreement. 5. Subject to clauses 5.4 and 7.3 (above), the maximum aggregate liability of Smartpuja whether in contract, tort, negligence, statutory duty or otherwise, for any loss or damage whatever arising from or in any way connected with the Service shall be limited to the fees paid or payable in respect of the Service. This limit shall also apply in the event that any exclusion or other provision contained in this Agreement is held to be invalid for any reason and Smartpuja becomes liable for loss or damage that could otherwise have been limited. 1. In this Agreement, the terms data controller, data processor, personal data, sensitive personal data and processing shall mean the personal data and sensitive personal data provided to Smartpuja in connection with the Service. Data protection law means applicable data protection legislation implementing the SPI Rules 2011 and any amendments, revisions, re-enactments or consolidations thereof. 2. You acknowledge that you are a data controller and that Smartpuja is a data processor. 3.3.	take all reasonable steps to ensure the reliability of any of its staff who have access to Data processed in connection with the Service. 4. The parties acknowledge that Smartpuja provision of the Service may require the transfer of Data to Smartpuja sub-contractors, servers (“Recipients”) in other countries having adequate protections in place for the purpose of the transfer of personal data. Smartpuja will be permitted to transfer Data to such Recipients provided that Smartpuja shall have entered into an agreement with the relevant Recipient based upon standard contractual clauses. 5. The parties also acknowledge that Smartpuja may also use services and/or products from other third parties in order to provide the Service and that, in doing so, Smartpuja may transfer Data to such third parties. This may include (by way of example only) third parties that provide online storage and other facilities. 6. You agree to comply with your obligations under the data protection laws in relation to its collection, processing and provision of Data to Smartpuja in connection with the Service. 7. You shall indemnify and keep Smartpuja indemnified against all costs, claims, losses, damages and expenses (including legal expenses) arising out of, or in connection with, any breach of this Clause 8 by you and/or your employees, agents and/or sub-contractors. 8. You acknowledge that Smartpuja is reliant on you for direction as to the extent to which Smartpuja is entitled to use and process the Data. 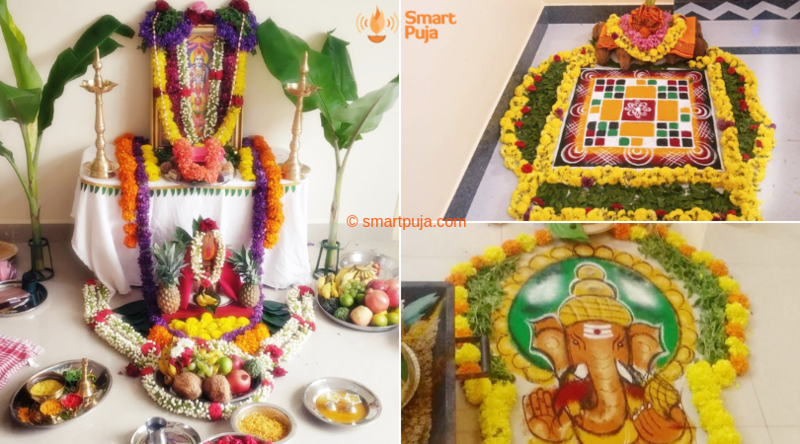 Consequently, Smartpuja will not be liable for any claim brought by you or any data subject arising from any action or omission by Smartpuja to the extent that such action or omission resulted from your instructions. Smartpuja service suggests only possibilities and therefore makes no warranties/ representations with respect to accuracy or significance of any aspect of outcome of any rituals, rites and astrological horoscope. Pandits and astrologer's understanding and application or opinion on any particular procedure, practice, or point might differ. You may use your discretion before relying on any prediction/s or religious beliefs. Smartpuja is not responsible for any claims for negative / nonfunctioning of any prescription of advice/remedy provided by any of our service providers. 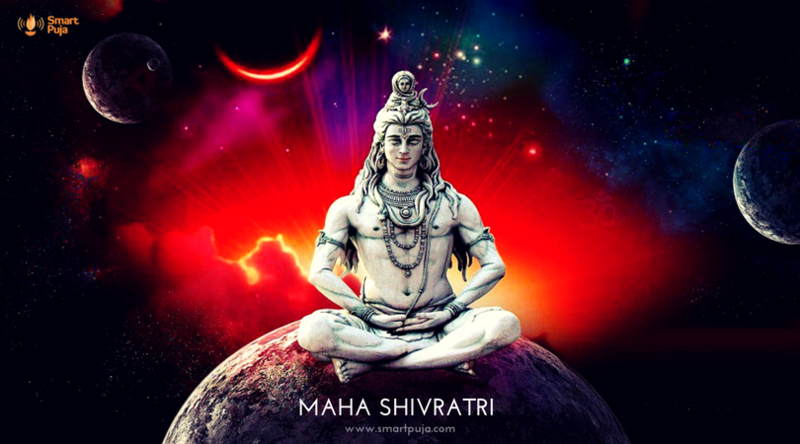 The predictions are based on the study and views of our service providers and Smartpuja or the Company disclaims their responsibility to the fullest extent as per the applicable laws. If you have been issued a user name and password for the purpose of gaining access to restricted areas of the Website, you are responsible for maintaining the confidentiality of your user name and password. You are no longer authorized to use, and you may not use, the user name and password if, at any time, you are no longer authorized to have access to the restricted areas of the Website, or if the conditions which entitle you to access cease to exist. You are responsible for all uses of your user name and password whether or not you have expressly or impliedly authorized such use. Smartpuja is entitled to rely on your compliance with the foregoing, and to assume that any person accessing restricted areas of the Website using your user name and/or password is you, or is authorized by you to enter into agreements or make warranties or representations on your behalf. The fees and payments of the services are listed on the website, however these may vary depending on the choice, time, facilities selected in the subscription. Any fixed rate apart from that is communicated shall be in writing by Smartpuja. Fees once received can only be refunded as per the refund and cancellation policy by Smartpuja. At the time of renewal of Service, Smartpuja may communicate revised pricing for its services. Discounts are for limited period only. Smartpuja reserves the right to withdraw any scheme without any prior notice. For more information on Refund and Cancellation, kindly refer to the Policy here. a. Any notices you may wish to serve on Smartpuja must be sent by first class registered post to Smartpuja registered office. Any such notice will be deemed delivered on receipt. b.	Smartpuja may give notice to you by means of a general notice on the Service, electronic mail to your email address on record in Smartpuja account information, or by registered mail to the address on your record held by Smartpuja. Any such correctly addressed notices shall be deemed to have been given upon the expiration of 48 hours after posting (if sent by registered post) or 12 hours after sending (if sent by email). Smartpuja may add to or change the terms of this Agreement. It is your responsibility as a user to refer to the terms of this Agreement on accessing the Service. Changes will be effective immediately after posting to the Service and you will be deemed to have accepted any change if you continue to access the Service after that time. This Agreement may not be assigned by you without the prior written consent of Smartpuja (which Smartpuja shall be entitled to refuse at its absolute discretion). Smartpuja shall be entitled to assign the benefit and/or burden of this Agreement to any other subsidiary (of any level) of Smartpuja upon giving notice to you to that effect. Smartpuja shall also be entitled to subcontract the performance of its obligations under this Agreement entirely at its discretion. Where any order for the Service has been made by two or more legal persons jointly, the liability of such persons and their obligations to Smartpuja under this Agreement shall be joint and several. Nothing in this Agreement shall confer on any third party any right or benefit under the provisions of the Contracts or otherwise. This Agreement shall be governed by Indian law. The parties hereby submit to the exclusive jurisdiction of the courts in Bangalore, Karnataka. Neither party shall be liable to the other for any delay in nor failure to perform its obligations under this Agreement (other than a payment of money) provided that such a failure is due to causes beyond its reasonable control. Such causes shall include but are not limited to terrorism, fire, flooding, lightning, storm, power surges and failures, failure of suppliers, industrial disputes and other similar action, earth quakes and acts of God. Failure by either party to exercise or delay exercising any of the terms of this Agreement shall not constitute or be deemed to be a waiver of its rights under this Agreement nor prejudice its rights to take subsequent action. The invalidity or unenforceability for any reason of any part of this Agreement shall not prejudice the continuation in force of any other part of this Agreement.